3.4 out of 5 based on 22 bloggers and 3 commenters. 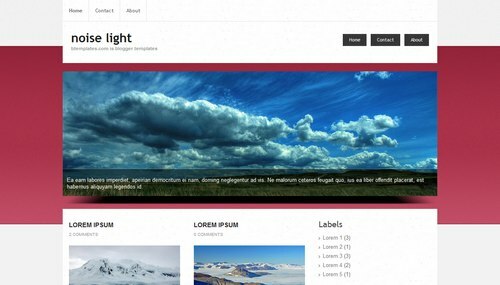 Noise Light is a free blogger template with 3 columns, right sidebar, an exclusive design for Blogger, footer columns and posts thumbnails. Simple and nice but with one problem: I’ve add a page in the top menu , and when I open it there is only half of the name of that page. Also on demo version you can see it if you open About or Contacs on the top navigation. Any suggestions?